Texas State University alumnus A.J. 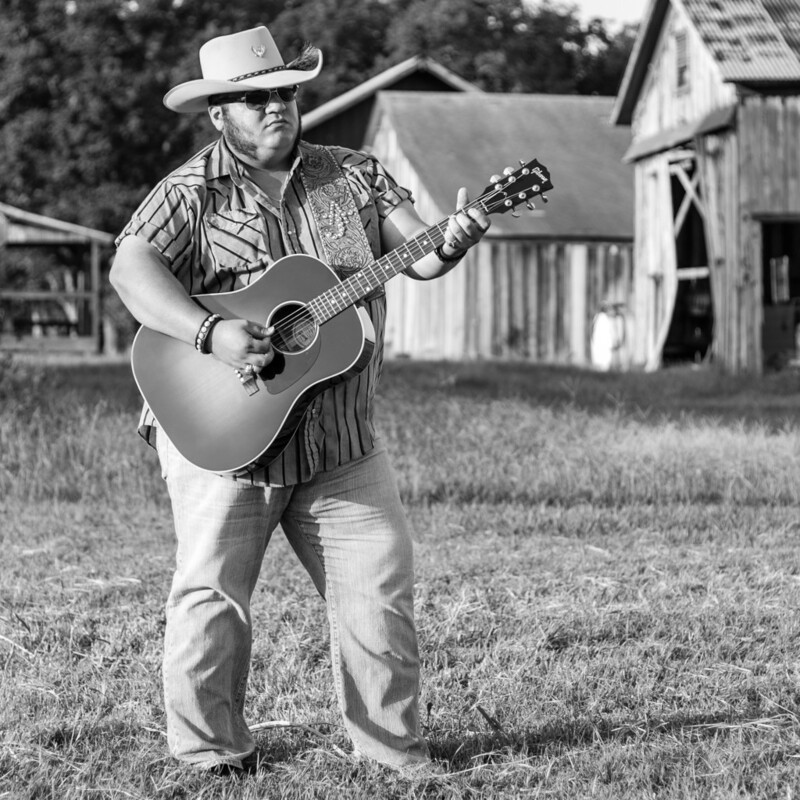 Guel has spent years touring around the state playing country music, but now he’s striking out on his own. A.J. 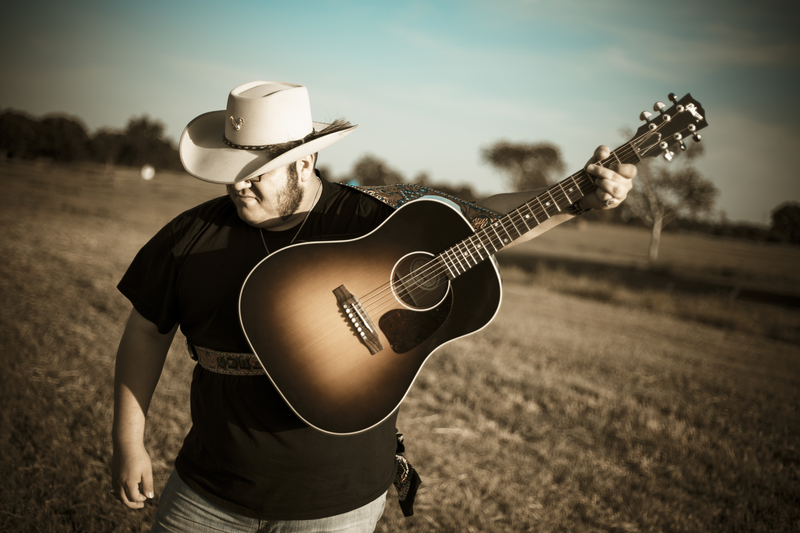 already has a bit of a following as the lead guitarist and backing vocalist for the now disbanded Lone Star Drifters which helped propel his successful Kickstarter campaign to fund production costs for his debut solo album. 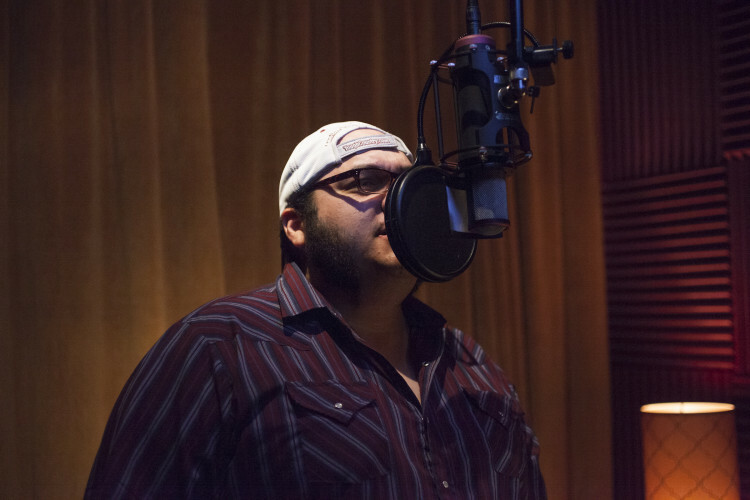 He recently sat down with Austin.com at 512 Studios where he is putting the finishing touches on his album entitled Real No One scheduled for release early this summer. Q: What drew you to country music? A: I think it’s the story most of all — hearing cowboy songs and story songs and just being able to listen to words and music and then paint the picture in your head. It’s not necessarily the same for everyone. People can always listen to a certain song and think, “Oh, that got me through something in my life,” even though it’s not exactly what the artist was going through and wrote the song about. But you catch little pieces of it and relate to it on a personal level, and I’ve always thought those kind of songs are the best kind of songs people can lock onto and feel a meaningful part, almost feel like part of the song. They say, “Oh, that song is written about my life.” Really, it’s written about something totally different, but you still have that unison that brings you together. The story, for sure, that’s what country music is to me. It’s about telling stories. It just happens to be to a melody. I’d say songwriters-wise Gary P. Nunn for sure. He’s one of my favorite songwriters. Billy Joe Shaver, he wrote a lot of the songs Waylon Jennings recorded and made famous. For more contemporary guys, I like Cory Morrow. I think his storytelling ability is amazing whether it’s a love song or anything he sings about. You can really feel a part of it, and he gives a vivid description of things. Robert Earl Keen is a great story writer. I don’t write songs like that, but hearing his ability to tell a story, I try to pick up on that. I don’t do those kind of songs, but I love listening to them. I would say it’s country at its roots, and it’s got the Texas thing. Texas is known for pulling in from everywhere. We had the European settlers, Mexican settlers, Spain — all the people that brought in their different instrumentations and melodic styles. It gues my sound is a mix between cosmic cowboy, 70’s country, standard country and a little bit of the modern edge of the current Texas sound. If someone were to pigeonhole it totally, it’d be country music. So far, what has been your best experience in the music business? This experience I’m going through now is kind of mindblowing. I was playing with a band, and that ended, so I had to make a decision. What do I want to do? I decided it was time to make a record of the songs I’ve been writing my whole life. I didn’t have all the money to do it, so I decided to try a Kickstarter campaign. I’d seen other people doing it, and they were successful. It’s definitely intimidating because I was afraid I wouldn’t get any money, and I’d be the guy who didn’t get anything. Luckily, a lot of my friends and family believed in me enough to help me raise $13,000. Between that and my family helping me out with what they could, it’s humbling. You stand beside it and look from the outside, and it’s crazy that strangers would just give you money because they heard you playing some campfire and liked your songs. They gave me 20 bucks or 10 bucks, and then some people stepped up and gave me $1,000. It’s totally mindblowing that somebody would believe in something I’m doing enough to give me money. A.J. Guel laying down vocals at 512 Studios. There was this whole process of going from thinking, “how am I going to make this record that I’ve been wanting to for my whole life?” to seeing people everyday on the Internet giving money that they worked hard for. They could have done anything else with it, but they believed in me enough to put it up. And here we are, doing the last day of recording. It’s hard to believe. Which venues around Austin are your favorite to play? I haven’t really played a lot in Austin yet. I was playing a lot down on the Gulf Coast, but I’ve doing a couple of things at Shiner’s Saloon. That’s a cool place. It’s right between a honky tonk and a listening room, so people going there really like to hear songs, but it’s got that atmosphere of a regular bar. Here in the next few months once the record is done, we’ll be hitting the road hard and trying to get as many people to listen to it as possible. When people listen to this album, what do you want them to experience? I hope people can take away something that relates to their lives from the songs I’m singing. The most important part is for people to relate to what I’m singing about. Promotional photograph of A.J. Guel. Vulnerable is a good word. I always consider in a song that I write if I’m not afraid to share it with my friends, if it doesn’t make me embarrassed, then it’s not a good song. When I was first writing songs, I’d write one real mushy or whatever, and I wouldn’t sing it that night because people might make fun of me. Then I realized in the songs I like are the ones where the artist put himself out there. There’s a line in one of my songs, “Put your heart on your sleeve and hang it in the wind.” That’s exactly how I live my life everyday. I’m not afraid to put it out there. If I get trampled on, I get trampled on. There is a lot of debate right now in the country music genre about this Nashville versus Texas/Red Dirt music. What do you make of that issue? It seems like it comes in waves. Back when I first started getting into Texas country, all the guys I looked up to were Texas guys. The Texas scene was headbutting with the Nashville scene. Slowly, people come to the smaller scenes. Texas didn’t go Nashville. Nashville went Texas. It started being okay to go to Nashville and record or write with the great writers there. If there is someone you wanted to write with your whole life and they lived in Nashville, it wasn’t looked down upon. Recently, there’s been a lot of controversy again. It seems like it’s coming back and forth. I think if you’re making music that’s true to yourself, it doesn’t matter where you make it. The stigma is if you go somewhere else, you’re making that place’s style of music, but there are great songwriters making music everywhere — LA, New York, Nashville, Austin. It’s not about where you go. It’s about what you do. The business side of the music business is the hardest part. I spend a lot of time doing marketing, doing grassroots kind of stuff. Social media is the one thing you have to do that I don’t think anybody really wants to do. I hate going out and thinking I have to take a picture so I can post it on the Internet so people will like me. But you have to do it, or else you’re not relevant. At the same time, I love taking photographs. My degree is in photography. I’ve been taking picture forever, so anything that catches my eye, I take a photo. It’s not for the Internet. It’s just because I want it for myself or to give to a family member or friend. Photography is definitely an escape from everything else. Sometimes i get caught up in the business side of music, so I go take a walk and take some photos. I love old vinyl. That’s one of my things. I like going to antique stores and thinking about old stuff. I see a hand tool, and I think about how people built entire houses with just hand tools forever. It clears my mind. I like to read about other musicians. My hobbies are based around creating things.